The Overwatch League has been taking steps to go above and beyond their competition to legitimize themselves as the next big esport league. In accordance with that goal, Overwatch League and Twitter have partnered together to release twenty new hashtags that are personalized to each team, including newly expanded rosters. From Hangzhou Spark to Los Angeles Valiant, all teams within the Overwatch League and their fan bases can now take to the Twitterverse with newly developed hashtags that show off their team mantras and sayings. With Overwatch League’s new hashtag initiative, it is easier than ever before to show support for all your favorite team’s no matter what the competition. League of Legends recently added limited availabilty hashtags as a part of their World Championship 2018 hype train, but Overwatch League hashtags are sticking around for the entirety of the season as teams compete in a 28 game season across four different stages. Fans of the league can rejoice in their favorite teams finally having some digital swagger to accompany all of the merch and branding ideas that followed the newest expansion teams to their homes over the course of this past offseason. The Atlanta Reign have gone for a double entendre as their hashtag choice #LetItReign can be used as a rallying call for their fans but also as a fun way to describe just how much damage Daniel “Dafran” Francesca and Jeong “Erster” Joon will be dishing out to their opponents. 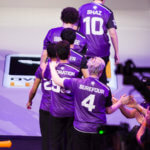 The Hangzhou Spark have gone for a rather classical but minimalistic approach as #Bang simply, yet eloquently, describes their impact to this Overwatch League ecosystem as a silent crowd favorite heading into the 2019 season. Since their burst onto the scene with colorful and spirited branding and logo reveals, its been getting easier and easier to be a fan of Hangzhou Spark and their fans will more than likely bring their excitement onto social media with that same spark come next season. Of course, a simple hashtag is a small initiative to garner interest for the Overwatch League over the course of the season, but the effort on the side of Blizzard to draw up this interest and follow the metrics on each teams support over the year will be important for long term growth. This league has a real shot to become the next household league within North America as OWL’s ambitious TV deals and Twitch streaming numbers have drawn interest from a large array of fans. Heading into the future, what will hopefully start as a small movement of passionate fans and some cheeky hashtags will blossom into the next big cultural phenomenon that can revolutionize esports and esport leagues as we know it.